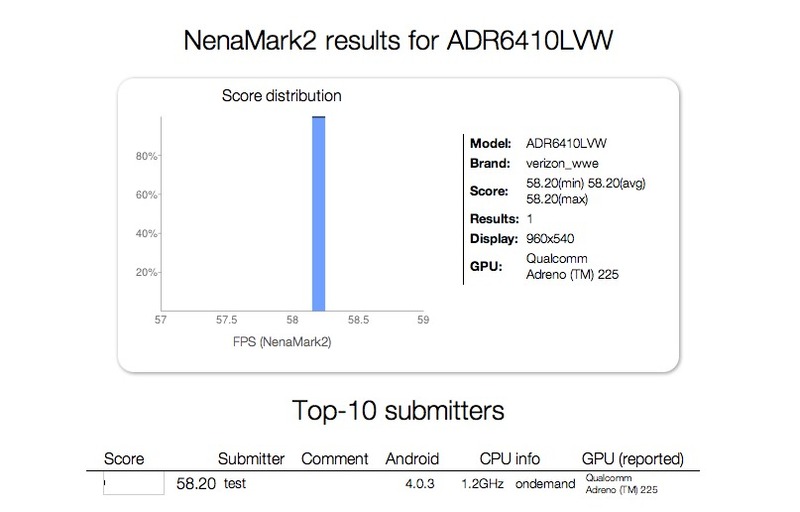 DROID Incredible 4G Receives Benchmark, Probably a Snapdragon S4 but Only a qHD Display? We have been on the hunt for the DROID Incredible 4G dating back to late 2011 when we first reported that a new device had popped up in a Verizon system dubbed the “HTC Fireball.” Little was known about the phone then other than a model number of ADR6410LVW which was a pretty good indicator that this phone could be some sort of a follow-up to the Incredible 2. Pictures of a device later leaked that we assumed was the Fireball since it had similar styling to the rest of the Incredible lineup and VZW had nothing else planned from HTC that we were aware of. The specs failed to impress at that time, which had us crossing our fingers that magical hardware changes were in store. That apparently will not happen if this weekend’s NenaMark benchmark for the device is to be believed. The other thing to discuss here is the display. What’s up with the qHD display? With almost every other high-end phone rolling in with 720p HD displays – including the HTC Rezound from 2011 – we can’t figure this one out. Cost cutting measure? The Snapdragon S4 is a bump over the S3 that is in the Rezound, but a qHD display is a bit of a downgrade. We are wondering now if Verizon is simply trying to keep the cost down on this device and then potentially make it their first official “global ready” 4G phone. The current target for release that we have seen is April 26.